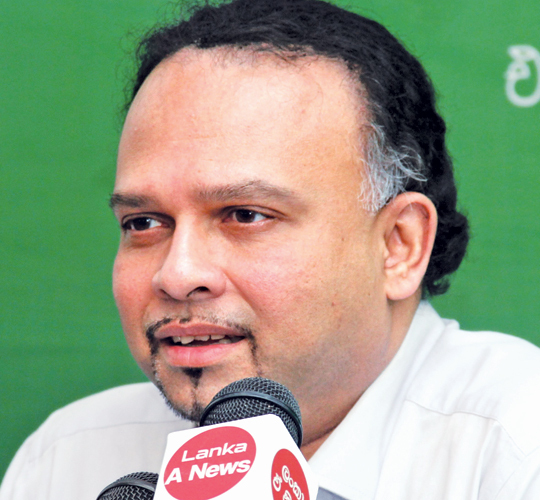 Although the USA has withdrawn from the United Nations Human Rights Council,we need to remain in it and fight for our cause instead of coming out and getting isolated, UNP National Organiser and Plantation Industries Minister Navin Dissanayake said yesterday. Addressing a media briefing held at the UNP headquarters Siri Kotha yesterday, the Minister said that former minister Prof. G.L Peris has said that we also should withdraw from the United Nations Human Rights Council. This is an invalid statement. “We had to face many injustices due to US involvement in the Council. But we faced these challenges successfully. However, the previous government did not face these challenges and failed to uphold our cause. Now we are facing all these challenges successfully and overcoming obstacles gradually. Therefore, we should fight for our cause while remaining in the Council,” he said.